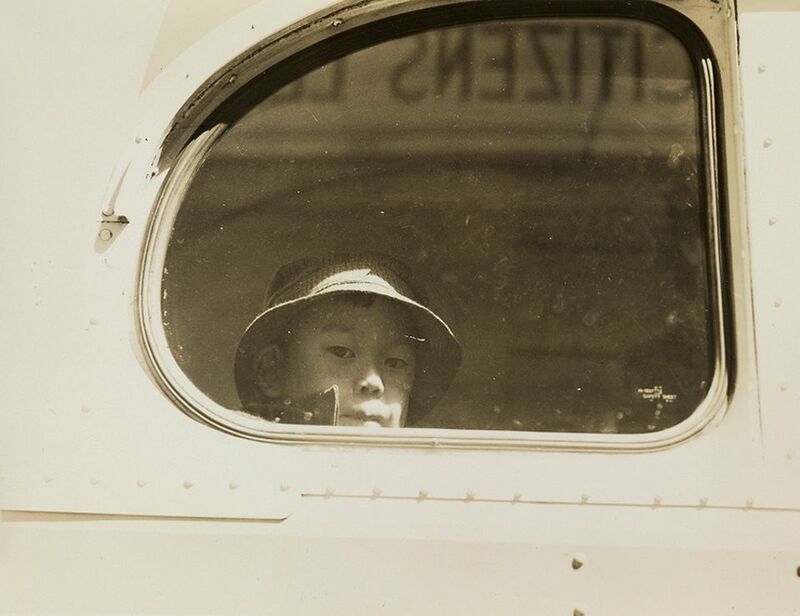 These five silver prints come from an archive of censored photographs commissioned by the US government’s War Relocation Authority (WRA) in 1942 to document the internment of Japanese American citizens, which later prompted official apology and reparations. Lange was invited to do a WRA commission after her success achieving success with her Depression-era social documentary photographs for the Farm Security Administration, such as White Angel Bread Line, shot at a San Francisco soup kitchen in 1933. True to her humanist roots, “Lange depicted the inhumanity of relocating Americans and the injustice of the internment programme after Japan’s attack on Pearl Harbor”, says Daile Kaplan, the auction house’s vice president and director of photographs and photobooks. The government, however, felt they revealed too much, and seized and transferred the negatives for this portfolio—which show Japanese Americans who were evacuated to the Manzanar internment camp in California—to the National Archives, where they remained unseen for decades. These images are the first from this commission to surface at auction. This 10 in tall blackware jar by the Tewa artist Maria Martinez and her son Popovi Da is decorated with an “avanyu”, or water serpent design, and “demonstrates how this family transformed the craft of Pueblo pottery into an art form”, says Rachel Enright, the auction house’s consignment manager for the sale category. Martinez developed blackware pottery—characterised by its gloss-on-matte, black on black finish—with her husband, Julian, who prepared the clay and painted the decoration, while Martinez created the form. After Julian died in the early 1940s, their sons stepped in to fulfil his role. The family’s commercial success made blackware pottery synonymous with the San Ildefonso Pueblo of New Mexico, and works by Martinez can be found in major collections, including the Metropolitan Museum of Art of New York and the Smithsonian American Art Museum in Washington, DC. 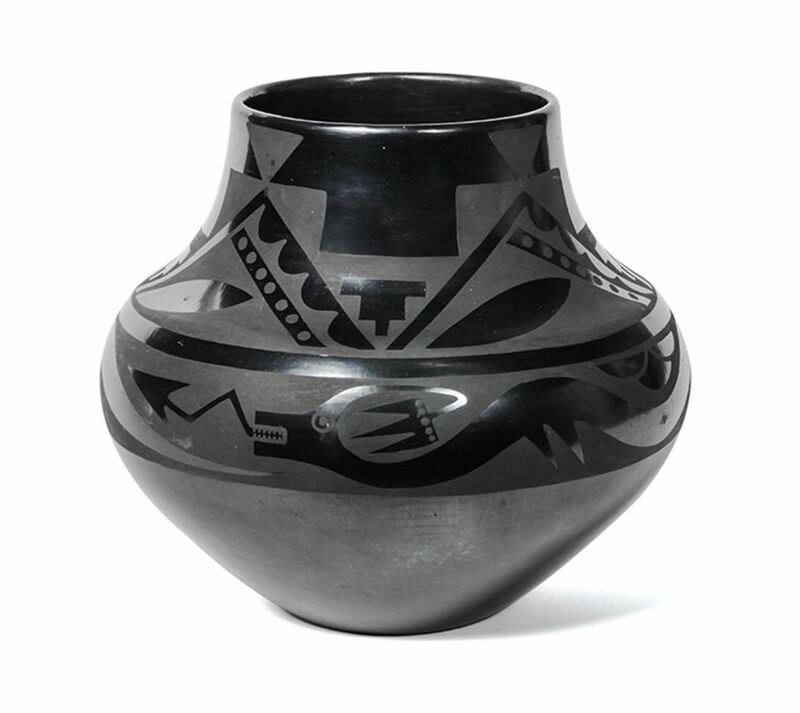 Altermann Galleries and Auctioneers of Santa Fe set the artist’s auction record in 2007 with a larger but similarly decorated blackware pot that Martinez made with Popovi, which made $45,000 (est $25,000-$35,000). This chromium-plated brass desk set, offered at auction for the first time, is the only known functional work by the Bauhaus artist better known as a painter and photographer. “There are no comparable examples—we gauged its medium value on what a piece of design from this period would be offered for, as well as major works from the Bauhaus and Moholy–Nagy’s sculptures of the same period”, says the auction house’s senior international design specialist in New York, Meaghan Roddy. Moholy-Nagy became an artistic advisor for the Parker Pen company in 1944, traveling from Chicago to Janesville, Wisconsin, for two days out of the month. 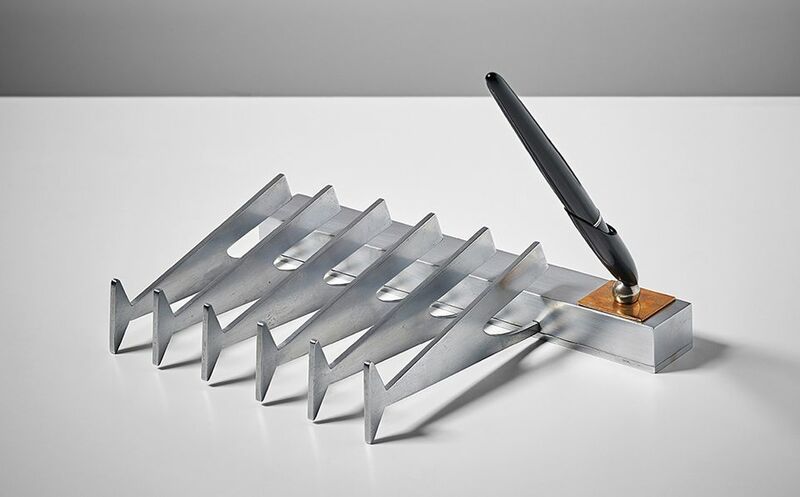 In 1946, shortly before his death, the artist patented a desk set type “wherein the pen receptacle is [magnetically] secured to a base and is adjustable angularly and rotatively to suit the preference of the user”, according to the patent’s description. It was never put into production. The artist’s wife, Sibyl, included the desk set in the first edition of her book Moholy-Nagy: Experiment in Totality (1950) but its whereabouts were unknown until 2013, when it was rediscovered by the Wisconsin pen collector Susan Wirth. The piece was included in a retrospective of the artist’s work at the Solomon R. Guggenheim Museum of New York in 2016, and travelled to the Art Institute of Chicago and the Los Angeles County Museum of Art. Roddy adds that the Milwaukee Art Museum “has a painting from the artist’s Nuclear series [Nuclear II (1946)] that was gifted to the museum by Kenneth Parker—a nice aside to the artist’s relationship with the manufacturer”.